We see a large number of patients in our Prescott clinic, and Weary Chiropractic Clinic has helped countless people eliminate a wide array of health issues. Even so, the primary concern that seems to prevent some people from getting care is whether or not chiropractic adjustments are safe. Well, according to three different studies (out of many on the topic), the answer to this question is a clear: "Yes! Chiropractic is safe!" The first study(1) was published in Spine and involved 183 men and women. Each test subject was suffering from some kind of back pain, and half of the individuals received real chiropractic care while the remaining patients were given two fake chiropractic treatments. Data was gathered after each real or fake adjustment to determine whether or not any unpleasant reactions occurred as a result of the real chiropractic treatments. Researchers reported that no participants reported any significant adverse side effects in any way after getting one or two sessions of chiropractic care. Some participants did state that they had a headache (just 9% of people) or muscle stiffness (37 percent) post-treatment, but the effects were not serious. The next study(2), also released in the important publication, Spine, was done in an effort to ascertain the safety of chiropractic care. The test group was much larger -- 20,000 individuals. Each participant received chiropractic adjustments of the cervical spine, with over 50,000 total adjustments for all study participants. Again, the experts discovered no serious adverse side effects. The authors computed the risk of total adverse reactions to be about six out of every 10,000 consultations or every 100,000 treatment sessions. And, just as with the first study, some volunteers did report non-serious, milder, side effects such as dizziness (less than 2%) or a headache (4%), and this caused the authors to conclude that "the risk of a serious adverse event, immediately or up to 7 days after treatment, was low to very low." The third research paper(3) is different from the previous two pieces of research, as it concentrates on the safety of chiropractic care for children. In this article, researchers analyzed results reported by both chiropractors and parents involving 816 children who participated in 7,173 chiropractic adjustments. Out of 5,438 chiropractic appointments made for the kids, chiropractors answering the survey documented only three cases where there were adverse effects. When parents were surveyed, they indicated only two adverse side effects out of 1,735 visits. Furthermore, both chiropractors and parents reported "a high rate of improvement with respect to the children's presenting complaints." Based on studies like these, chiropractic has been found to be safe and effective for everyone. To learn what chiropractic can do for you, call our Prescott office and schedule an appointment today at (928) 778-2227. When you're trying to sustain your family, take care of your home, and pay all of your bills on time, every day at work counts. Work injuries can be a huge problem for many people, and we see many of these types of injuries in our Prescott office. Weary Chiropractic Clinic appreciates your situation and is here to help. The benefits of chiropractic care for work injuries are well-established. A 2013 research paper involving over 600 adults who were suffering with either back or neck pain found that the people who didn't see a chiropractor missed work at twice the rate of those who were seeing a chiropractor. According to the participants in this paper, two of the major reasons were that they thought they needed a medical referral for chiropractic care (which is typically no longer true) and they overestimated the costs associated with chiropractic treatment sessions by almost 70 percent. If you live in Prescott and you've been injured at work, we can help. Give our office a call today at (928) 778-2227 for an appointment. We come across a lot of sports injuries in our Prescott clinic, and Weary Chiropractic Clinic is generally able to assist these athletes. Stanford Children’s Hospital states that over 3.5 million children aged 14 and younger are injured each year when playing sports. Add that to the close to 2 million adults injured annually while engaged in sports-related activities, as reported by statistics compiled by the U.S. Department of Health & Human Services, and you can begin to see the necessity of minimizing these sorts of widespread injuries. One approach to potentially realize that goal, as reported by a study released in BMC Musculoskeletal Disorders, is to engage in regular chiropractic treatments. In Australian Rules football, hamstring and other leg traumas are common, frequently sidelining the players and impacting their team's likelihood of securing a win. One particular study was conducted using 59 semi-elite Australian Rules footballers to see if chiropractic could diminish these injuries and help keep them in the game. For this study particularly, every one of the participants received medical treatment. Furthermore, half of them also received chiropractic sessions at the rate of one treatment each week for the first six weeks, biweekly sessions for the next three months, and one treatment a month for the final three months of the study. The other participants were given no chiropractic intervention whatsoever and were used as the control group to assess the benefits of chiropractic care. Following 24 matches, researchers reported a lessened number of lower limb muscle strains in the group that had received chiropractic care. Moreover, that very group also missed fewer matches correlated to non-contact knee injuries. This lead the researchers to conclude that chiropractic should be added to sports training programs to dramatically decrease the quantity of leg injuries. If you or your child are active in sports and you want to ensure more time is spent on the field versus on the bench, call our Prescott office at (928) 778-2227 and make an appointment today. We will do our best to keep you in the game! Weary Chiropractic Clinic sees a lot of back pain patients in our busy Prescott chiropractic office. Many of these people have some kind of spinal issue that is causing them pain and discomfort. Fortunately, Weary Chiropractic Clinic has found that spinal decompression treatment is an effective way to help these individuals. What is Spinal Decompression and How Can it Help Me? Non-surgical spinal decompression is a treatment method that takes all of the positive benefits that one normally gets from chiropractic, traction, physiotherapy, exercise therapy, and myofascial therapy and merges them all into one. The objective of decompression is to keep you off the operating table, and that is precisely what it's done for a number of people, as it has a reported 85% success rate. A few of the issues spinal decompression helps with include generalized back pain, sciatic nerve pain, herniated discs, degenerative disc disease, compression fractures, and joint pain. 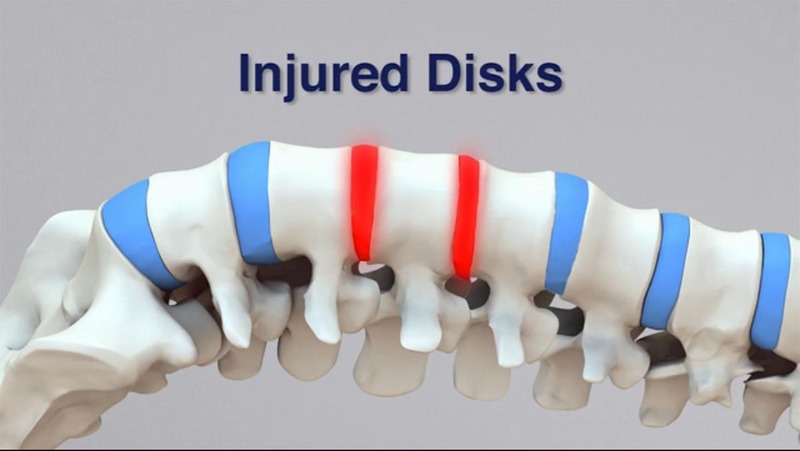 Spinal decompression works by reversing the effects of wear, tear, and the force of gravity that compresses the intervertebral discs in your neck and back. The movie below shows how it works to decrease pressure on your back and helps decrease pain and disability. If you live in Prescott and you're struggling with back pain, spinal decompression therapy might be the answer. Call Weary Chiropractic Clinic today at (928) 778-2227 for a consultation or appointment. 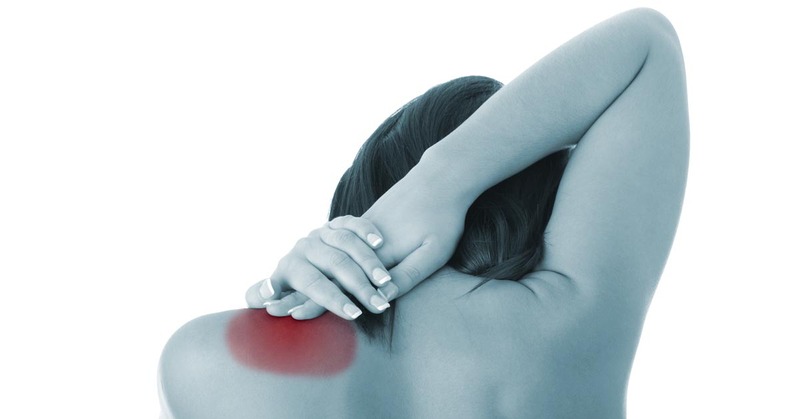 According to research, approximately 5 percent of the population will suffer from painful ailments like frozen shoulder syndrome at some point in their lives. That makes shoulder pain a common occurrence and one that Weary Chiropractic Clinic sees in our Prescott practice on a regular basis. In general, this issue is more common for people in their 40s, 50s, and 60s, and it tends to affect women more often than men. While ice, heat, and gentle stretches can often times help alleviate the discomfort, so too can chiropractic. As an example, one study published in the Journal of Chiropractic Medicine looked at 50 patients with frozen shoulder who were given chiropractic care. The length of care varied from 11 days to 51 days, with 28 days being the average. Only one of the original 50 reported an improvement of 50 percent or less, so reports like this show just how beneficial chiropractic care can be when it comes to decreasing shoulder pain and improving quality of life. Let Weary Chiropractic Clinic help you ease your pain by contacting our Prescott office and scheduling your appointment today. Weary Chiropractic Clinic works with countless sciatica patients here in our Prescott office, and quite a few of these men and women were afraid that they might require surgery to treat their pain. The most recent research reveals that many people don't require surgery for this widespread problem, and that chiropractic is more effective at clearing up sciatic nerve pain. A typical surgery for sciatica is microdiscectomy, and in a 2010 study, physicians looked at 80 patients with sciatica who were referred for this procedure. Forty patients were then randomly sorted into one of two groups. The first group was to receive surgical microdiscectomy and the second group was given chiropractic care. Both groups got better; however, no obvious difference in outcome was reported one year post-treatment between the surgery group and the chiropractic group. Furthermore, about sixty percent of the participating patients who could not find assistance from any other treatment method "benefited from spinal manipulation to the same degree as if they underwent surgical intervention." Simply put, chiropractic offered the same positive advantages as surgery without having to endure the greater levels of surgery-based pain or suffer through extended recovery times often associated with that type of treatment option. Additionally, you also don't run the risks associated with surgical microdiscectomy, including nerve root damage, bowel or bladder incontinence, bleeding, or infection. 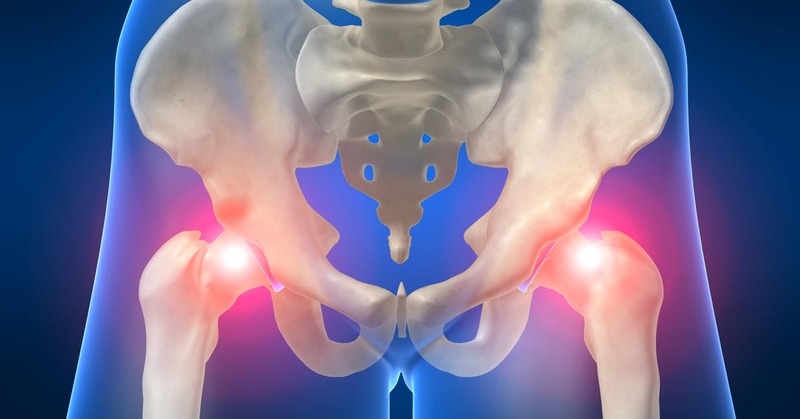 Surgery should be the last option for sciatica pain. If you live in Prescott and you're suffering from back pain or sciatica, give Weary Chiropractic Clinic a call today at (928) 778-2227. We'll help pinpoint the start of your pain and work hard to get you relief. While many women automatically assume that back pain and pregnancy go hand in hand, they are often pleasantly surprised when they discover that this is not necessarily the case. In fact, chiropractic care can often help reduce persistant back pain for pregnant women by as much as 85%. Weary Chiropractic Clinic has helped many pregnant women with back pain in our Prescott office. One piece of research published in Chiropractic & Manual Therapies involved 115 women who were pregnant (most of which were in their third trimester) and presented with pain in their lower back region, pelvic area, or both. Data was gathered prior to the study, as well as one week, one month, three months, and one year after treatment commenced. At each subsequent point in time, the participants were asked to rate their level of pain based on a 7-point scale to determine whether it was better, worse, or stayed the same. The results? We're here in Prescott to help you have a healthy, pain-free pregnancy. 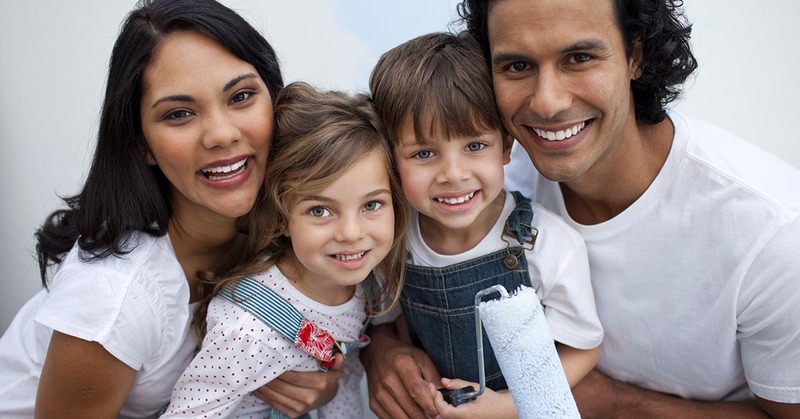 Give us a call today at (928) 778-2227 to make an appointment. According to The American Academy of Pain Medicine, more people in the US suffer with chronic pain than diabetes, coronary heart disease, stroke, and cancer combined. On top of that, neck pain is the third most reported type of pain, beat out only by lower back pain and headache. Of course, many patients come to our Prescott office looking for neck pain care, and Weary Chiropractic Clinic has helped many of them find relief. This is a smart decision, as some research shows that over 90% of neck pain patients benefit from chiropractic care. A study published in The Journal of Orthopaedic and Sports Physical Therapy included 64 people who were suffering with neck pain. Approximately half were placed in an experimental group and the other half were designated to a comparison group. Both were given chiropractic adjustments of the neck as well as a home exercise program, while the experimental group also received adjustments of the thoracic spine. Information was collected before treatment began and one week after the adjustments. Researchers found that 94 percent of the experimental group claimed "significantly greater improvements" in regard to pain and disability in their neck symptoms. Just 35% of the individuals who received neck adjustments showed the same level of improvement, illustrating that looking at the entire spinal column is an important part of restoring the body's normal function. Another study posted in Physical Therapy involved 60 individuals between the ages of 18 and 60 who were dealing with neck pain. Each man or woman was randomly assigned to one of two groups--thoracic spine thrust manipulation or non-thrust manipulation--with examinations occurring two and four days after the adjustments. Researchers discovered that the study patients who received the thrust manipulations (the same adjustments that offered such positive results in the first study) "experienced greater reductions in disability" than the group that received the non-thrust manipulations. Their pain was lower as well, which shows that this type of technique offers many benefits. Another study even found the same kind of positive results after thoracic adjustments in a patient who had a failed neck surgical treatment. This specific case involved a 46-year-old patient who had recently had neck surgery but still suffered with neck pain, headaches, pain in her elbow, and muscle fatigue. The patient reported decreased pain in her neck and lower headache intensity, right after the first chiropractic treatment session. After six weeks of care, which involved chiropractic, exercise, and patient education, the patient still placed her pain at a zero on a scale of 1 to 10. Her neck disability improved as well, with a rating score that represented that it was a "great deal better." It is studies like these that demonstrate the advantages of chiropractic care, even if you've already attempted neck surgery that didn't provide relief. So, if you are suffering with neck problems and would like to find a remedy that has a high success rate, try chiropractic. It may just be the relief you're looking for. We're located in Prescott and Weary Chiropractic Clinic can help you recover from neck pain. Give us a call today at (928) 778-2227. 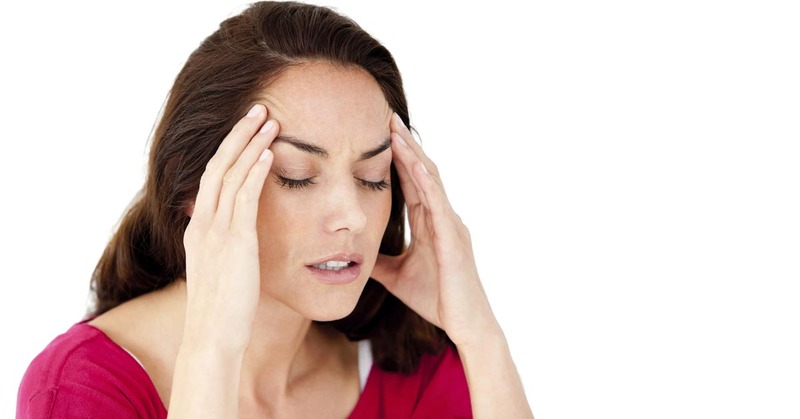 With the Migraine Research Foundation reporting that migraine headaches affect 38 million adults and children in the U.S. (more than asthma and diabetes put together), it's not surprising that Weary Chiropractic Clinic treats a lot of headache sufferers in our Prescott office. Although some folks try to relieve migraine pain with drugs, chiropractic is a fantastic, all-natural approach that usually provides positive results. For instance, one report published in the Journal of Manipulative and Physiological Therapeutics involved 127 patients ranging in age from 10 to 70-years-old who suffered with frequent (at least monthly) migraines. Each subject received up to 16 chiropractic sessions. The patients noted that their headache frequency, duration, and disability two months before the study began, during the duration of the sessions (which was two months), and two months post-treatment. What the researchers discovered is that chiropractic reduced the frequency, duration, and disability of the migraine pain when compared with the control subjects who didn't receive chiropractic. Even better, this allowed them to take less medication for the pain, offering them an all-natural answer for a chronic condition. If you have migraine headache pain and are looking for relief, call Weary Chiropractic Clinic today and request an appointment in our Prescott chiropractic office. We'll do what we can to help you become pain-free! Knee pain is a common problem for people in our Prescott chiropractic practice, and Weary Chiropractic Clinic has successfully provided many of these men and women relief. This is mostly because chiropractic care has been found to help with many forms of knee pain. For instance, some individuals feel pain in and around the knee tissues due to osteoarthritis. Research has demonstrated that this condition responds very well to chiropractic--and rather quickly, too. In fact, one study published in The Journal of the Canadian Chiropractic Association found that men and women with osteoarthritis in their knees felt significant pain relief and improved function after just two weeks of chiropractic care. If your knee pain is caused by a medial meniscus sprain, chiropractic could likely help with that as well. One study reported that integrating chiropractic with soft tissue treatment, rest, ice, and compression on the affected knee helped lower the intensity of the pain. Of course, sometimes a knee replacement surgery is necessary in order to repair the issue, and if that's the case, chiropractic can also help improve the outcome. How? Research has shown that people with low back pain often have less positive outcomes after knee surgery. So, dealing with your back pain through chiropractic before having a total knee arthroplasty can assist with your post-surgery recovery. No matter what your knee issue, Weary Chiropractic Clinic can likely help. Call our Prescott clinic today and find out what we can do for you!